I believe we could end abortion in a year if the entire pro-life movement was completely united and worked seamlessly together with a common plan to accomplish that. Unfortunately, we are our own worst enemy. When the in-fighting begins, we are pushing the day abortion ends farther and farther away like we have for the last 40 years. People have different opinions of how exactly we should end abortion. Some think we have to start graphic picture campaigns, others that we have to take over Planned Parenthood with pregnancy centers, others think we need to shut Planned Parenthood down, others that we need to spread the message of purity so our society does not “need” abortion anymore. Some people want to use the Gospel and Jesus to teach people the truth about life, others want to use science. So who’s right? Here’s the thing: No one approach is right. No single approach will end abortion. We need all aspects of the pro-life movement to end abortion. When people start getting up on their high horse claiming their way is the best, we start having issues. It makes me sad and disappointed every time I see this happen. You might have heard of the drama with the group Abolish Human Abortion (AHA) recently. They’ve come under fire from pro-lifers and many Catholics because of their strong anti-Catholic posts on Facebook. I “liked” the AHA page a long time ago because I really liked some of their graphics. But then I started seeing posts I got angry about. When an abortion supporter made a rude comment on the AHA page, they would call out that person by name in a post. They were often rude in their posts and I was tired of it. How would that help our cause? After hiding their page from my newsfeed, I didn’t know about their anti-Catholic posts until friends of mine started commenting on their page and telling me about it. I looked into it more and was so sad to see a group causing such division withing the pro-life movement. ME: “You state in your “about” section that “our page is not a place for the promotion, debate and discussion of the supremacy of one Christian tradition over another, or the building up of one denomination over any other”. But then, you strongly state that your own religious beliefs are supreme. Isn’t that a contradiction of what you said? AHA: “I don’t think we are “dividing” anything necessarily, but rather exposing division that was already there. Please remember that Christ himself said he came not to bring peace but a sword. This is peculiar statement considering this Christ also prayed that believers would be one. What could this mean? I take it to mean that Christ exposed division in order to attain true unity. That is all we desire. Real true unity. Instead of a house that is divided and only unified on the surface level. Jesus is saying that his word (referred to as a “sword”) will set families against each other. It’s not always easy following Jesus, and that’s what he was saying when he said we’d have to take up our crosses to be worthy of him. Nowhere in this verse did Jesus indicate that a division among families already existed. He said truth would divide people. The truth about life will (and does) divide people, but it should not divide people who have the same belief about life. I think my God is worthy of imitation as well, go figure! The problem here is that sure, the teachings of Jesus caused a lot of division. Can that really be compared to what AHA is doing? AHA posting rude things about Catholics is not the equivalent of what Jesus did because their divisive posts are hurting the pro-life movement. So this admin thinks the pro-life movement is doomed to failure….That’s encouraging. I agreed that I thought our largely secular society has real issues. However, I pointed out that the majority of pro-lifers are Christians. AHA: “I think the majority of pro-life activist believe in God but cater to the rampant secularism in our culture and it is demonstrated in the way the speak about abortion and set out to fight it. If you see the damage of secularism, which is a reason abortion on demand exists, why should we oppose abortion on the same grounds that seem to justify abortions legality? AHA: “We could take your comment you just made as an example. Do you see the problem here? Think about it. Like I said in the beginning, there is no one correct way to end abortion. Sure, having a secular society doesn’t help, but does shoving Jesus down people’s throats help? I don’t think so. I loved reading The Crescat’s response to AHA and Calah’s view of the situation. 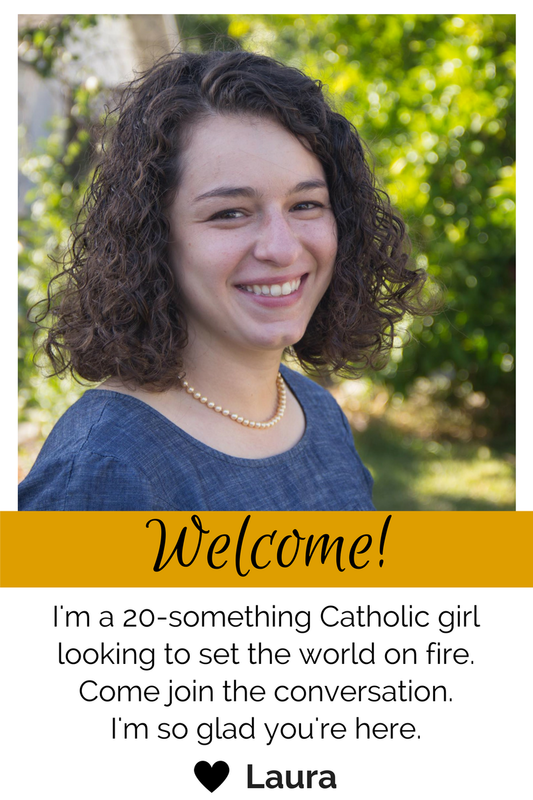 Before converting to Catholicism, Calah was on the other side of the computer in AHA’s position and her insight was interesting. “I came to the University of Dallas absolutely certain that I knew what these papists were about. And I told them so with predictable regularity. I’d ask some question, like, “why do you think Mary was born without sin?” and when they gave me their answer, I’d let them talk without listening and then explain to them what they really believed. No kidding, I actually did that. I told my friends that they worshiped graven images, followed a man instead of Christ, and had no idea what the Bible actually meant. God bless them, they took my incessant imperious apologetics in mostly incredulous silence and then changed the subject. It got old after a while and I gave it up. I truly hope and pray that the leaders of AHA see how they have damaged the pro-life movement and stop their divisive posts. I also hope and pray that God gives them grace to be able to work with other pro-lifers (especially Catholics) in this fight for life. In the end, people, the pro-life movement is about ending abortion, not religious fights. We need God back in our society, but force-feeding him to people is not the answer. Let’s put the past behind us and from this day forward vow to fight harder everyday to end abortion without letting anything get in our way. Do it for the babies. Great post, Laura – Divisiveness in the pro-life movement is a big problem. I especially love your last question that went unanswered. What I always can’t understand about Protestants is that if everyone is supposed to follow Christ the way they personally see best (according to protestantism) what’s wrong with Catholics following Christ the way they see best and interperet Scripture – in a hierarchical Church, etc.! Though I am in no ways condoning AHA, in almost any wrong idea there is some truth. 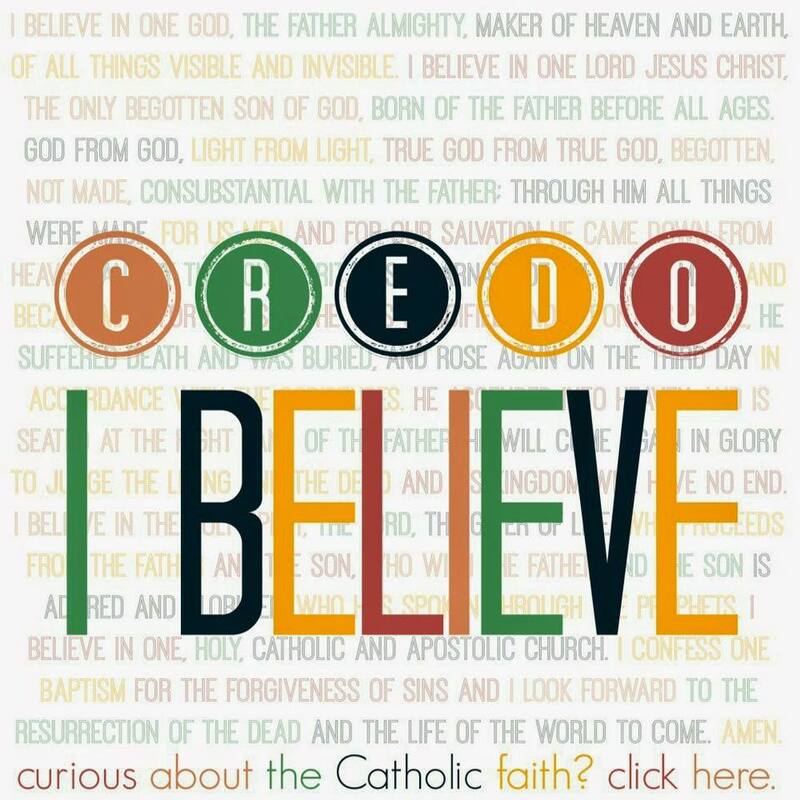 There is truth in fact that any religion is not as good as another, and, as Catholics we should not be afraid to insist that our religion is true and other religions are false in so far as they contradict Catholicism (with Christian charity). Of course, we should work with people in ending abortion even if they do not see the fulness of truth in regards to Christ, and the anti-abortion page is by no means the place for bashing other peoples’ religions! I also think that it is important that we should never lose sight of the fact, that while saving lives is extremely important, saving souls is even better. 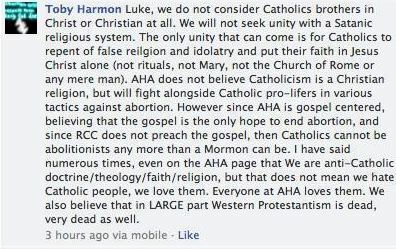 I do believe there is some truth in what AHA was saying. I do believe our society desperately needs Jesus. I just don’t think it needs to be shoved down people’s throats or seen as the only way to discuss abortion. I think it’s important to meet abortion supporters where they are and reveal truth at the right pace. I would certainly like to learn more about how to evangelize the Catholic faith so that I can help spread the truth more efficiently and effectively! I love your point about saving souls 🙂 I think saving lives and souls go hand in hand because truth and truth go hand in hand. This is why I’m so happy to be at a Catholic college where I can learn how to explain and defend my faith better!